Relive railroading’s golden age aboard the Tennessee Valley Railroad’s restored vintage trains. It’s a trip into history on a rolling time machine! The Tennessee Valley Railroad has been described as a moving museum, offering an interactive, historical experience. 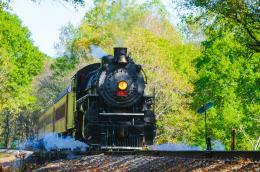 Visit Chattanooga to find the only regularly scheduled, full-sized train rides in Tennessee. But it is so much more than just entertainment! The mission of the Tennessee Valley Railroad Museum is to collect for preservation, operation, interpretation, and display, railroad artifacts in an authentic setting to educate the public concerning the role of railroads in the history and development of the region. The 55-minute experience on the Missionary Ridge Local includes a 6-mile round trip, the most frequent trip on the railroad. Daily in season, Missionary Ridge Local trips begin at the Grand Junction Station and take passengers along one of the original railroad lines in Chattanooga, crossing four bridges and passing through pre-Civil War Missionary Ridge Tunnel, which was completed in 1858. The train stops at East Chattanooga, allowing riders to see the locomotive rotating on a turntable and participate in a tour of the railroad restoration shop before re-board-ing for the return trip. Round trip time is slightly less than an hour — a great train ride for kids. The term “Local” refers to short line trains that were at one time a lifeline to the world from small towns around the nation. As the train rolls to a stop with the ground rumbling under your feet, you feel the mounting anticipation. The conductor calls the long-awaited signal: “All Aboard!” Excitement builds as passengers scurry to their seats. This was a regular occurrence 100 years ago…as it is today. Mission Ridge schedule runs every month of the year. This train runs with frequent schedules during the first two weeks of February. Trips include a four-course dining experience on board a restored 1924 dining car. The excursion trains typically depart from the Chattanooga Grand Junction Station (4119 Cromwell Rd, Chattanooga, TN 37421) at 5:30pm and again at 8:00pm, traveling at a leisurely pace through portions of urban Chattanooga, passing Warner Park Zoo and Chattanooga National Cemetery. The train travels about seven miles from the depot and then returns along the same route, taking about two hours overall. Passengers are encouraged to choose their entrée as tickets are ordered. Patrons may select their entrée of carved English roast of beef topped with a Madeira sauce, roasted stuffed breast of chicken with a wild mushroom cream sauce or Cumberland sauce, or crusted fillet of salmon with a béarnaise sauce or red pepper butter. For small groups, Presidential Office Car #98 (the Eden Isle) represents the ultimate in rail travel and is offered for private charter. The cost of $800 allows a group of up to eight (8) persons to travel in this opulent car, which boasts a dining room, lounge area, and rear observation platform. Hop aboard The Bunny Train during the last two weeks in March. These Easter Bunny Train rides depart from Grand Junction and travel toward East Chattanooga where passengers disembark for special activities. Storytelling, temporary tattoos, coloring pages, an egg hunt...and a chance to meet a big bunny! Bring a camera and take your child’s photo with the Easter Bunny. Take an extended day-trip excursion through the lower Hiwassee River Gorge, over the Hiwassee Loop, and on to the joint cities of Copperhill, TN, and McCaysville, GA. 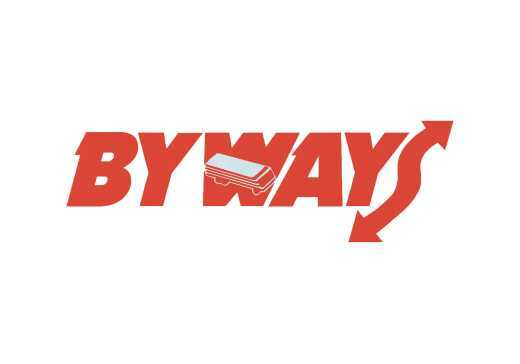 It is a total 94-mile round trip, with lunch on your own during the 90-minute layover before returning to Etowah. Departure time is 9:30am. And return is generally around 5:45 pm. The Copperhill route is the same as for “Loop” trips, but after traversing the river gorge and negotiating the spiral near Farner, the train continues a longer distance through Turtletown and Ducktown to the former mining town of Copperhill. Trains run late March through September. Enjoy a 50-mile round trip up the beautiful lower Hiwassee River gorge. This 3-1/2 hour trip will take you to the top of the famous Hiwassee Loop where the tracks cross over themselves as they corkscrew up the mountain near Farner, Tennessee. Special rates available for groups of 25 or more during the “non-peak” season, and charter trips can be arranged for groups of 80 or more. Trains run late March through November. This trip lasts approximately 6-1/4 hours and includes a 1-1/4 hour layover in Chickamauga and a half-hour layover at Wilder Tower Monument in Chickamauga-Chattanooga National Military Park during the return trip to Chattanooga. Layover time allows passengers to stroll through the quaint downtown area, visit the Chickamauga Depot which houses a regional history museum or walk a block or two to view the Civil War-era Gordon-Lee Mansion and Crawfish Springs City Park. Watch out for the Civil War cannons that stand guard over the main intersection in town! A tour guide usually rides aboard the train to point out areas of interest and relay interesting historical information. These vintage trains follow a historic route from Grand Junction Station in Chattanooga to Summerville, Georgia, crossing the state line in Rossville, traveling past Chickamauga-Chattanooga National Military Park and through Chickamauga, Rock Spring, LaFayette, Trion, and into Summerville. Departure for the all-day trip is 9:00am with return approximately 6:00pm. For autumn trips, fall colors are usually a highlight outside the train, while a dining car luncheon, complete with china ware, is served inside dining car Travelers Fare. Train operates from early March through November. Tennessee Valley Railroad Museum is hosting 2018 summer camps for railroaders of many ages. The standard camp is geared towards high school-aged students and will include instruction on all aspects of railroading, including railroad terms, signals, how steam and diesel engines work, and the history of trains. There will also be a blacksmithing demonstration, field trips, and guest speakers. The junior camp is geared toward late elementary and middle school students and will include instruction on all aspects of railroading, riding trains, craft projects, and games. Dinner Trains run on select Satur days of most months (late March through September.) The trips include a three-course dining experience usually onboard a restored 1924 dining car. 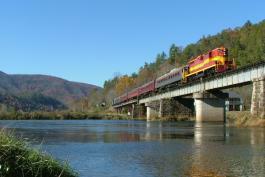 Special themed trains throughout the year include Thomas & Friends in April and May, Halloween Eerie Express in October, North Pole Limited in November and December, Nightcaps with St. Nick in December, Santa’s Hiwassee Holiday Adventure in December, Christmas dinner trains in November and December, and the New Year’s Eve Dinner Train on December 31. Special rates available for groups with minimum of 20 persons per group in season for the Missionary Ridge Local. Minimum is 50 per group in the off-season for the Missionary Ridge Local. Group bookings are also available on other TVRM excursions. Call the group reservation department for additional information. 423.894.8028. Published Spring 2018: View PDF.